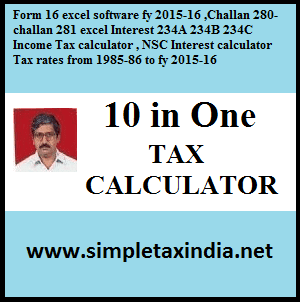 We are sharing a Excel based 10 in one software by CMA Parvesh Sharma .You will find all tax related calculation in one file . Thanks for creating such a wonderful calculator. Send the same at imehta.ishu@gmail.com.